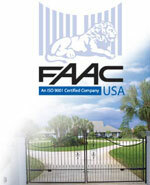 "Asia Pacific largest FAAC online product information centre"
The 750 System is invisible and silent. 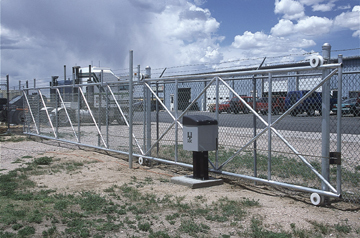 It is designed for gates or heavy doors, ancient and modern alike, of artistic value or in a particular style, requiring installation with an automated mechanism that will not affect their original appearance, Consisting of a hydraulic drive unit in reduced dimensions, installed underground, and an above ground hydraulic pump unit connected by copper tubing, the 750 System will easily operate gates weighing up to 800 Kg. 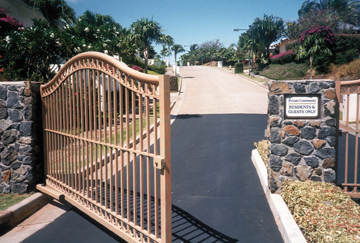 Its mechanical efficiency allows opening and closing maneuvers to be carried out at speeds ranging from 6 to 18 seconds, The double lock version allows gates to be held in both the fully open or fully closed positions. 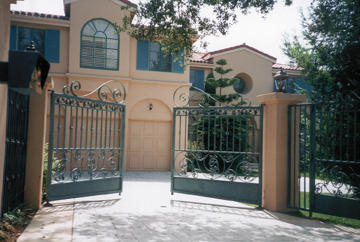 It also provides an extremely efficient security barrier and does not require any additional locking. The underground 750 System is fully waterproof. This model may be installed on gates or heavy doors having a maximum width of 7 m (3.5 m per leaf) and an opening angle of up to 180 degrees.